One of the data points that’s “making its rounds” on the LinkedIn feeds right now is the one below. In fact, it’s from LinkedIn. If a picture is worth a thousand words, this one is screaming at us as salespeople. According to this, people that are Director levels or higher, are 91% more likely to switch jobs in January than any other month of the year. I’m fairly confident that for those of us in B2B sales, these are the types of titles that we sell to. Why? Because we know they call the shots. They may be influencers & mobilizers but they also generally have teams of people reporting to them. For our purposes, let’s just call all of these people leaders (because that’s technically what they are). A good chunk of these people is coming in to change things up. They’re being called upon to improve things. And in this quest, they are far more amenable and open to changing the way their businesses operate. And herein lies the opportunity for sales professionals. In every fable, there’s a hero and our job as sales professionals is to transform the new leader into the hero. This means that we should serve these leaders to the best of our abilities. Identify these people (more on this later). Help them understand what they should be on the lookout for (become a resource). Serve them with insights which help to inform their decisions. While most of us intrinsically understand this, it’s hard to execute. So for today, let’s just focus on the fundamentals: let’s help you find these people. This is where LinkedIn comes in nicely. 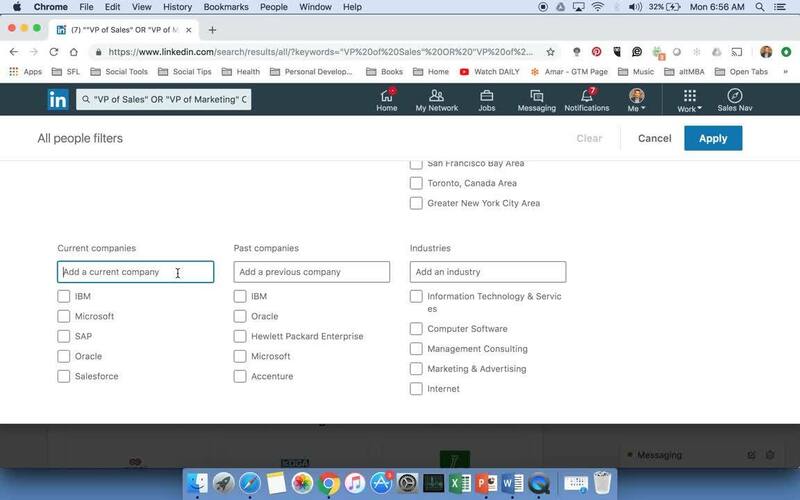 Whether you have LinkedIn’s basic/free version or LinkedIn Sales Navigator, my advice to you is to read your accounts for job change alerts using the Advanced Search feature in LinkedIn. Check out this video here to learn the fundamentals of Advanced Search. Do you see the value of this? Instead of just guessing, calling or emailing around to find out who the new champions and decision makers are, you can use LinkedIn to pinpoint them first. If you value your time, can you see how this can be a massive game changer in the way you operate? If you go one step further, you can also do some quick research and listening. And with these short steps, you’ve got the foundations of a targeted approach. I’m sure you’ll agree that targeting people based on data and research is a far better way to spark interest than the usual. In fact, the data says so too: 74% of buyers are choosing sales people that are first to add value and insight (Source: Corporate Visions). Do yourself a favor and set up your LinkedIn Advanced Searches for all of your target, prospect or customer accounts. Begin to get notifications on who is joining these accounts so you can reach out and help leaders. But don’t delay: make sure you do this before the holiday season kicks into high gear. Come January you should start to see these searches trigger and send information that matters to you. And in your outreach process, remember to serve with insights and value. Be mindful of your approach and you’ll open up doors faster than ever before. So there you have it. By using this one technique you’ll be empowered to with more insights about the accounts that matter to you. Was this helpful? If so, please let me know. And if you need help or have questions, reach out on LinkedIn here or email me (amar@salesforlife.com).